William A. 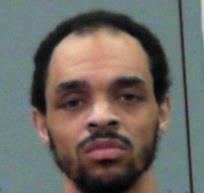 Six, of Fairmont, West Virginia, was sentenced Monday to 168 months incarceration for selling crystal methamphetamine and having a firearm near a school, United States Attorney Bill Powell announced. Six, age 27, pled guilty to one count of “Distribution of Methamphetamine” and one count of “Possession of a Firearm in a School Zone” in October 2018. Six admitted to selling crystal methamphetamine, also known as “Ice,” in Marion County in September 2017. Six also admitted to having a 12-gauge shotgun, and a semi-automatic rifle on the grounds of Washington Irving Middle School in Harrison County in September 2017. This case was brought as part of Project Safe Neighborhoods (PSN), a program that has been historically successful in bringing together all levels of law enforcement to reduce violent crime and make our neighborhoods safer for everyone. The Attorney General’s Office has made turning the tide of rising violent crime in America a top priority. In October 2017, as part of a series of actions to address this crime trend, the Attorney General’s Office announced the reinvigoration of PSN and directed all U.S. Attorney’s Offices to develop a district crime reduction strategy that incorporates the lessons learned since PSN launched in 2001. Assistant U.S. Attorney Traci M. Cook prosecuted the case on behalf of the government. The Bureau of Alcohol, Tobacco, Firearms and Explosives, the Three Rivers Drug Task Force, and the Fairmont Police Department investigated.